A comprehensive guide to mastering the most advanced Hadoop 3 concepts Key Features Get to grips with the newly introduced features and capabilities of Hadoop 3 Crunch and process data using MapReduce, YARN, and a host of tools within the Hadoop ecosystem Sharpen your Hadoop skills with real-world case studies and code Book Description Apache Hadoop is one of the most popular big data solutions for distributed storage and for processing large chunks of data. With Hadoop 3, Apache promises to provide a high-performance, more fault-tolerant, and highly efficient big data processing platform, with a focus on improved scalability and increased efficiency. With this guide, you’ll understand advanced concepts of the Hadoop ecosystem tool. You’ll learn how Hadoop works internally, study advanced concepts of different ecosystem tools, discover solutions to real-world use cases, and understand how to secure your cluster. It will then walk you through HDFS, YARN, MapReduce, and Hadoop 3 concepts. You’ll be able to address common challenges like using Kafka efficiently, designing low latency, reliable message delivery Kafka systems, and handling high data volumes. As you advance, you’ll discover how to address major challenges when building an enterprise-grade messaging system, and how to use different stream processing systems along with Kafka to fulfil your enterprise goals. 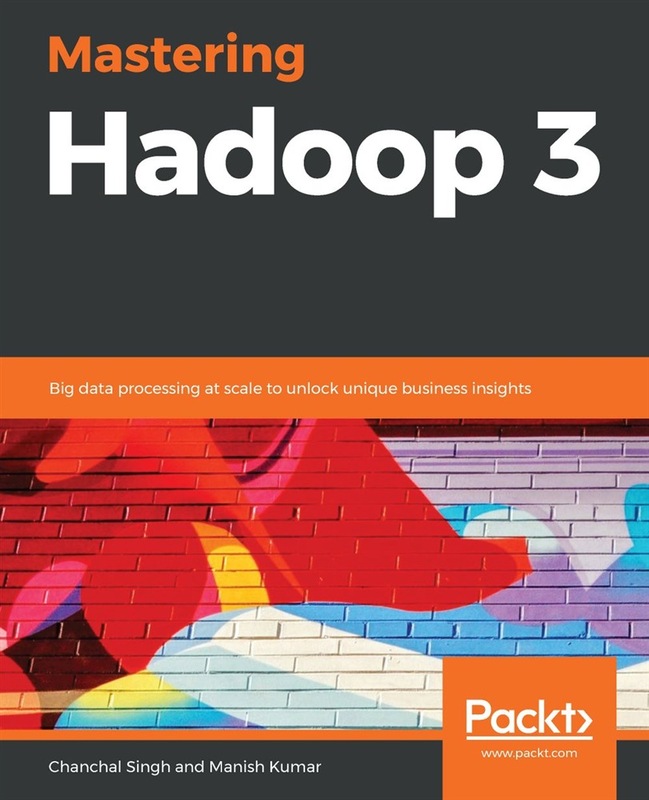 By the end of this book, you’ll have a complete understanding of how components in the Hadoop ecosystem are effectively integrated to implement a fast and reliable data pipeline, and you’ll be equipped to tackle a range of real-world problems in data pipelines. What you will learn Gain an in-depth understanding of distributed computing using Hadoop 3 Develop enterprise-grade applications using Apache Spark, Flink, and more Build scalable and high-performance Hadoop data pipelines with security, monitoring, and data governance Explore batch data processing patterns and how to model data in Hadoop Master best practices for enterprises using, or planning to use, Hadoop 3 as a data platform Understand security aspects of Hadoop, including authorization and authentication Who this book is for If you want to become a big data professional by mastering the advanced concepts of Hadoop, this book is for you. You’ll also find this book useful if you’re a Hadoop professional looking to strengthen your knowledge of the Hadoop ecosystem. Fundamental knowledge of the Java programming language and basics of Hadoop is necessary to get started with this book. Acquista Mastering Hadoop 3 in Epub: dopo aver letto l’ebook Mastering Hadoop 3 di Manish Kumar, Chanchal Singh ti invitiamo a lasciarci una Recensione qui sotto: sarà utile agli utenti che non abbiano ancora letto questo libro e che vogliano avere delle opinioni altrui. L’opinione su di un libro è molto soggettiva e per questo leggere eventuali recensioni negative non ci dovrà frenare dall’acquisto, anzi dovrà spingerci ad acquistare il libro in fretta per poter dire la nostra ed eventualmente smentire quanto commentato da altri, contribuendo ad arricchire più possibile i commenti e dare sempre più spunti di confronto al pubblico online.